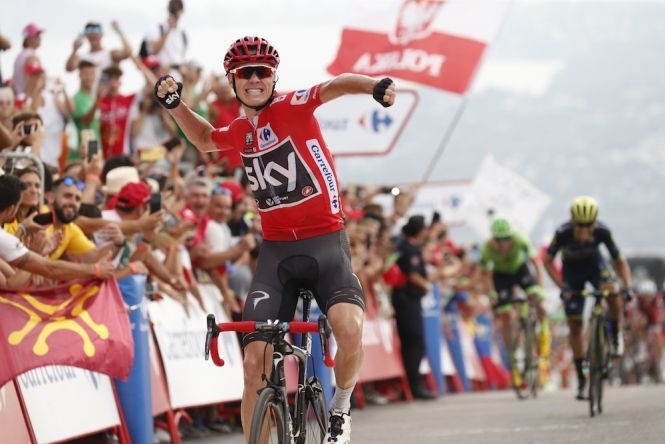 British cyclist Chris Froome wins stage nine of last year’s Vuelta a España. SPAIN’S most prestigious cycling race could soon start in Yorkshire. It comes as director of the Vuelta a España, Javier Guiellen, jetted to the UK for talks with sheep farmer turned Chief Executive of the Welcome to Yorkshire tourism agency, Gary Verity. La Vuelta, also known as the Tour of Spain, is one of the world’s three most important cycling tour events alongside the Tour de France and Giro d’Italia. 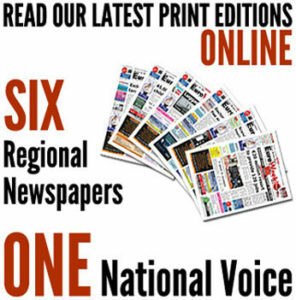 It was last year won by Team Sky cyclist Chris Froome, who became the first Briton to pick up the title after bagging his fourth Tour de France just weeks earlier. Mr Verity led the successful campaign for the 2014 Tour de France to start in the northern English county, when the first two stages saw the competitors race from Leeds to Harrogate and York to Sheffield. And speaking at the start of the Tour de Yorkshire’s third stage, he confirmed that discussions to bring the Spanish event to Britain are underway. Yorkshire will next year host the UCI Road World Championship, the first UK venue to do so for 37 years.